This entry was posted in Books, Internet, National Issues, News & Politics, Opinion and tagged 2009, America, Ayn Rand, blog, congress, conservative, Constitution, freedom, GOP, Government, greed, hate, liberal, media, news, Obama, Opinion, Party, politics, republican, tea party. Bookmark the permalink. Is this one line assertion that is backed up with absolutely no analysis or facts to support it, supposed to be taken seriously by anyone? If you think that the GOP comes close to representing what Ayn Rand’s Objectivism holds as a proper morality, epistemology, or political/economic system, then you demonstrate that you have absolutely no understanding of that philosophy. Anyone interested in actually understanding what Rand advocated should read her fiction or non-fiction works which are readily available on most bookstore shelves. And when you say that she was “coldhearted”, you might consider taking a piece of Rand’s advice and start by defining your terms. Why don’t you tell us exactly what you mean by “coldhearted” and then give us an analysis of Rand’s work where you demonstrate your thesis. Short of that, I have to conclude that this is simply another area where you have no idea what you are talking about. It is true that there are individuals who understand and support Objectivism in this world, including me, and it is also true that you will see some of us at Tea Party protests with signs advertising that fact. You may even find some Objectivists supporting specific GOP candidates. However, those facts do not imply that Rand’s philosophy has been the dominant force guiding the Republican party or driving the Tea Party movement – although I wish that that that it was so in both cases. If you want to smear Rand’s name, you are going to have to do a much better job of it than simply trying to link her to the atrocities that have been committed by the Republicans as well as the Democrats over the past 50 years, and for which we are currently paying the price. The reason that you see Rand’s name appearing so frequently these days in association with the Tea Party movement and conservative commentators is that he influences IS growing rapidly as her insights are proving to have been prophetic. Many people are just now beginning to understand the truth in what she said and wrote. But as Rand’s influence grows, it will lead many conservatives and liberals to a new position. Rand’s ideas are not driving the moribund Republican Party – they are transforming it into something new for this country. And if there is something “cold” to be experienced, maybe it is the chill down the spine of progressives who may be seeing the writing on the wall and the final end to their influence rapidly approaching. I’m not done writing it yet C. Jeffery Small. It’s being composed as we speak and would be hard to get it from pencil & notepad into data format in an instant so I stuck a little one liner up for now. Are you perhaps a huge fan of her greed-is-good ideology? I wouldn’t be so quick to start your holier than thou speech on me, I know more than you would like me to know about Ayn Rand and respect her a writer but loathe her as an ideologue. I have no problem with Rand, I have a problem with many of her followers who believe that acting arrogant and treating others poorly is a quality of character. Coldhearted is used in this assertion as a way to validate that both the notion that compassion is a flaw and the notion that greed is wholesome stands opposed not to “collectivist thought” but rather to simple standards of basic conduct. Ultimately, if you are truly are a “Randite” you don’t care what I have to say when I get this essay typed up. You already know you are right and frankly there is no reason to even have a discussion with people of that thinking. That mentality is only going to use every disagreement as a venue to spread their superiority-complex and stray far from the issue at hand. No, they were the bitter ramblings of a woman who hated God and hated pretty much every one who didn’t fawn over her like you are doing right not. 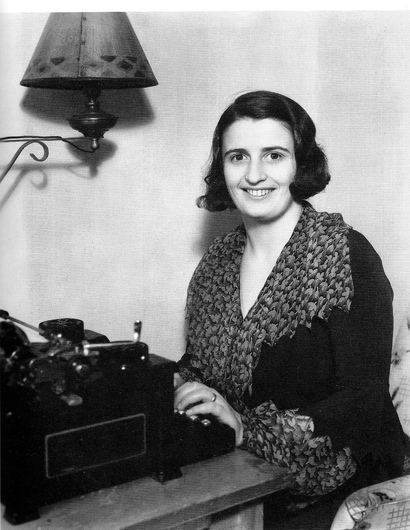 Ayn Rand, ideologically speaking, is a poison of justifying your bitterness at the world and those you disagree with as a political or social position when in fact it it more a matter of your own personal unwillingness to confront the failing of this mentality. No, but you could stop being smug. That would help a lot. You are right in stating that I shouldn’t be smug, and I will apologize for that, but I hope you can realize that that is exactly how your one-line placeholder for your article appears when it stands there, as an end in itself, with no additional explanation of its purpose. Had you indicated that a fuller essay was to follow, I would have made no comment at all. You say that Rand considered compassion a flaw, but I would disagree with that estimation. Rand believed that not compassion per se, but self-sacrifice in any form was not merely a flaw but evil. She argued that to place others above self was ethical suicide. She would say that if the idea of compassion were a tool being used to impose a sense of guilt, and if that guilt was then used to demand sacrificial action as a form of restitution, then in that sense, the compassion was evil. But for an individual properly grounded in self-esteem and operating from a position of self-interest, Rand would have no problem with experiencing compassion for others and acting upon it. Of course, that compassion would be meaningfully focused and directed towards others whom one valued. It would never be a diffuse sort of meaningless “compassion” that was extended to anyone and everyone as something that was there due by way of there mere existence. For Rand, compassion, like any other emotional connection established between two individuals, was something to be earned by way of one’s virtues and the value that those virtues represent to another. So, for both Rand and me, a discussion of compassion is a more complex subject that does not rest upon the simple assessment that it is good or bad in and of itself. Personally, I do not find the very brief description I have given above as justifying the adjective “coldhearted”. However, if you are willing to acknowledge the distinctions of my position with regard to compassion and then still wish to label me or Rand as coldhearted on that basis alone, then you are welcome to do so. However, I would judge that to be a very shallow assessment of either of our characters. then you are mistaken if you ascribe that view to either Rand or to me. Greed is an irrational pursuit which treats the acquisition of wealth as an end in itself, further confirmed by the adjective “excessive” which implies that there is no planned purpose for the that which is acquired. A “rapacious desire” means that this pursuit of wealth is done by preying upon others; in other words, by acquiring the wealth at the expense of others, by way of force or fraud. If you have the knowledge of Rand’s positions that you indicate, then you must acknowledge that nothing called “greed” would be sanctioned by Rand and she would never use a phrase such as, “greed is good”. What is an “excess” of wealth? By what standard is the “excess” to be determined? Who will stand in judgment? For a rational person who understands its value and purpose, I do not believe that there can ever be an excess of wealth. Rational people understand that wealth is not an end in itself, but an intermediate store of earned value to be purposely transformed, in the future, into something else. Wealth is a storehouse of opportunity, and the greater the wealth, the greater the opportunities that become available – without practical limit. Rand understood that wealth is an intermediate store of the effort, whether physical or mental, that one makes, and is something that must be earned through voluntary trade with other individuals who freely exchange value for value to their mutual benefit. 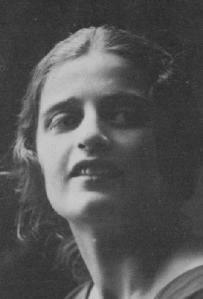 Her ethical philosophy rests upon the idea that force and fraud are actions never permitted among rational people. That anyone would suggest that she advocated an anti-rational nihilism of mindless acquisition which was achieved by preying upon others, demonstrates that they have no understanding of her philosophy. Regarding the rest of your accusations against me, I will leave it to others to judge the merits of your broad claims based upon the few statements that I have made.